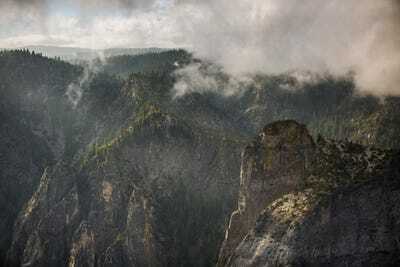 Yosemite was one of the first public parks to become a national park, more than 100 years ago on October 1, 1890 (before the National Park Service existed). 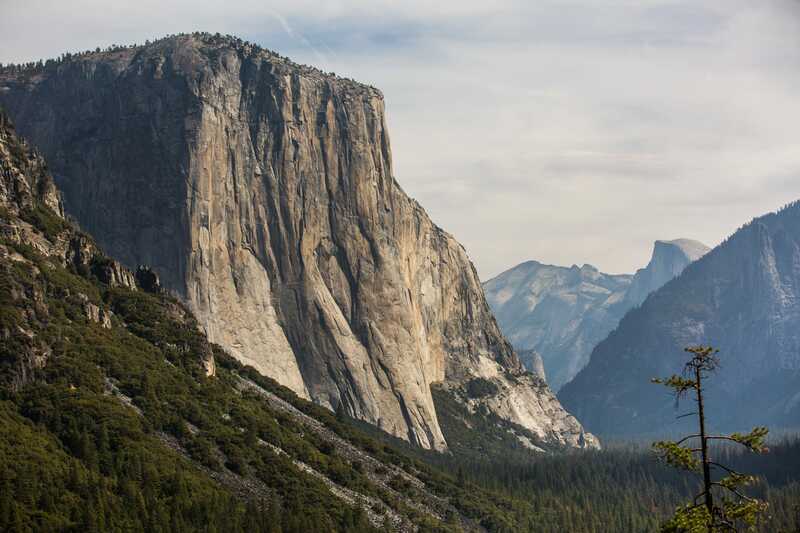 It’s home to one of the most notoriously difficult routes for both free and rock climbing: The Nose at El Capitan. 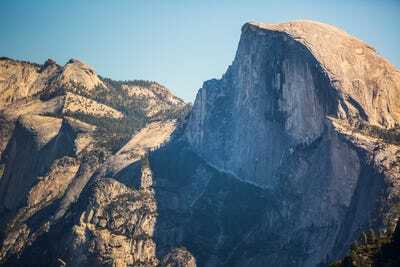 There are two main faces of El Capitan — the Southwest and the Southeast. 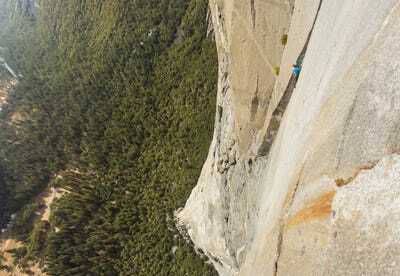 The Nose lies between the two and is the most popular climb of El Cap. The 3,000-foot mountain was once considered impossible to climb due to the technicalities involved. The very first successful rock-climbing ascent of The Nose wasn’t until 1958, and until 1993, no one had successfully free climbed it. 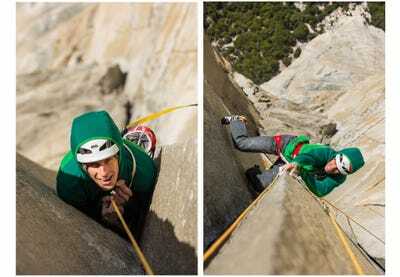 Since then, only four people have successfully completed a free-climb ascent of The Nose. 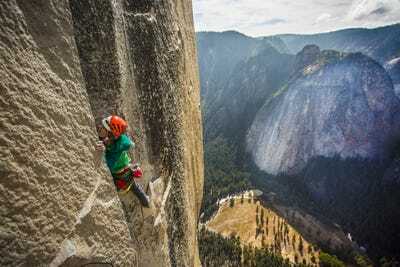 Free climbing — rock climbing using only your hands, feet, and ropes — can be very dangerous, but it can also be extremely rewarding. It can be done solo, with or without the help of safety gear to protect from falls, but not to assist on the ascent. 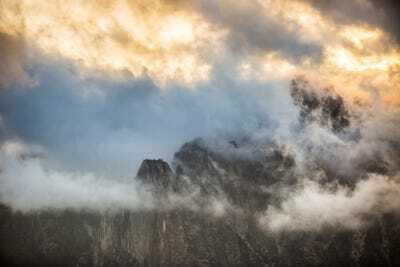 We got a chance to speak with one of those climbers, Jorg Verhoeven, and his photographer, Jon Glassberg, about their journey up The Nose. 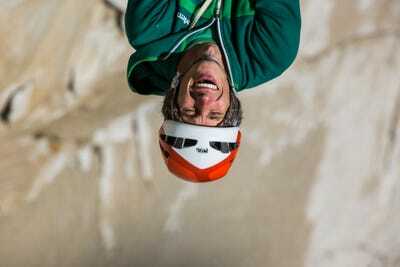 In 2014, Verhoeven finished the fifth ever free-climb ascent of The Nose, taking only three days to do so. The past free-climb ascents had been done in 12 days, four days, and even one in less than a day. 'Standing underneath, I knew that however long this might take me, I had to try and climb it,' Verhoeven said. Photographer Jon Glassberg followed Verhoeven during his prep for the climb, capturing images and video. Verhoeven climbed mostly in the early morning to escape the heat, and relaxed at night. You can find the full video of Verhoeven's climb on Youtube and Louder Than Eleven. 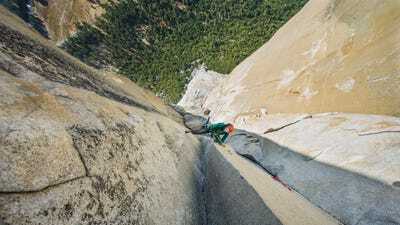 'I would spend my days on the wall, shooting and documenting Jorg's progress, and then I would ascend a rope to the summit of El Capitan and sleep for the night,' Glassberg told Business Insider. Careful planning went into the climb. 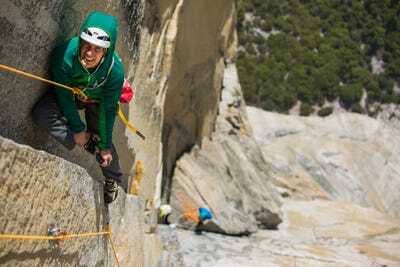 Verhoeven worked on the route for about three weeks, figuring out solutions for the more difficult parts of the wall before he made his final free-climb ascent. Glassberg did not climb The Nose with Verhoeven, but he spent days with him during his preparation. 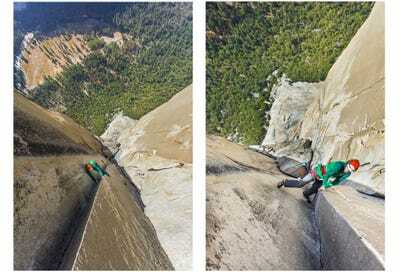 He would hike to the summit of El Capitan with static rope and fix the rope into the summit. He would then repel down the face where Verhoeven was, so that he would be in position to photograph from there. Then he was able to ascend the fixed rope and move above him as he climbed. Watch Glassberg's tutorial on his technique when it comes to photographing climbs. 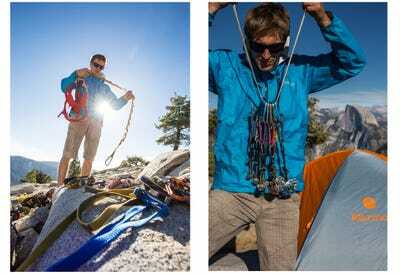 Verhoeven has been a competition climber for more than a decade, and he is always training. 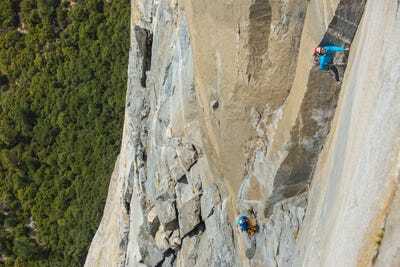 The route up The Nose requires a lot of patience and precision, but Verhoeven said he felt relaxed and ready for the challenge by the time he made his free-climb ascent. The weather can have a major effect on the climb. At times, the rock can get so hot that it's dangerous to free climb with just your bare hands. Plus, the heat reduces the friction, making it harder to climb. 'Finishing a goal you've worked for so hard is always a mixture of strong emotions,' Verhoeven said. You can find the full video of Verhoeven's climb on Youtube and Louder Than Eleven. You should also follow Verhoeven and Glassberg on Instagram.